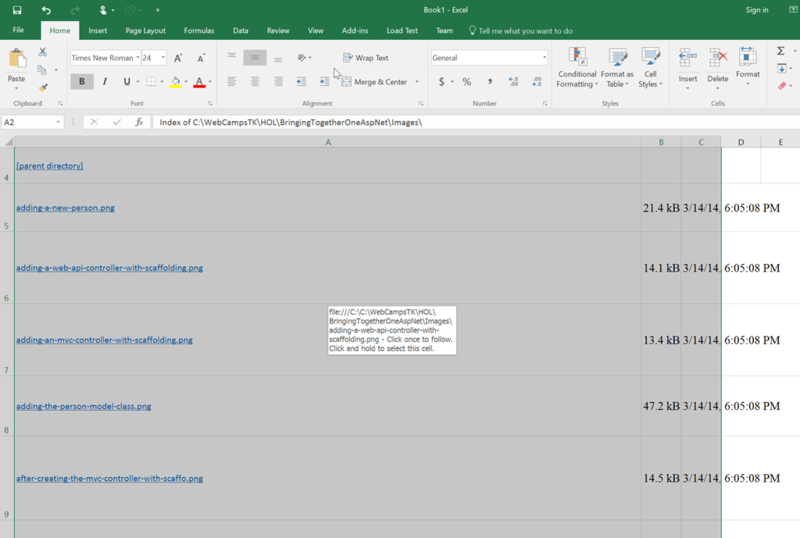 Ever wondered how to list the names of the files in a worksheet in Microsoft Excel 2016 without using any formula ? Here’s how you can do it. 1. 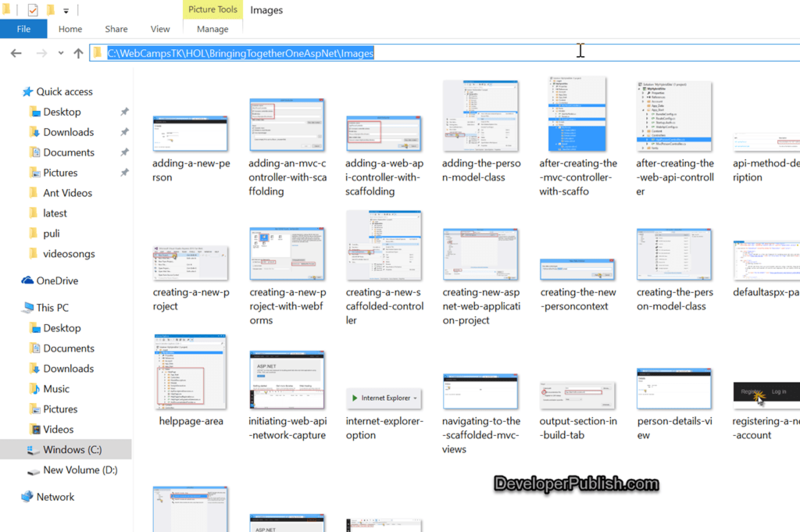 Open the directory and copy the complete path from the Windows explorer. 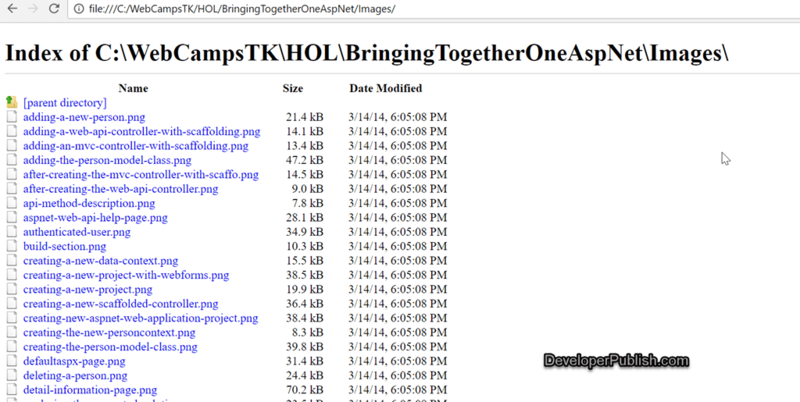 For example , “C:\WebCampsTK\HOL\BringingTogetherOneAspNet\Images” is the path of the folder that we cant the file names to be shown in the Excel sheet. 2. Open one of the web browsers and paste the path in the address bar and press enter to get the list of all files displayed in the browser. 3. Use the shortcut key “Ctrl + A” to select all the contents from the web browser and press “Ctrl +C” to copy. 4. Open excel workbook in Microsoft Excel 2016 and press “Ctrl + V” shortcut key. You should now see the file names in the excel sheet.